Alexis Justiniano, Jacksonville Realtor® is a longtime resident of Jacksonville. Alexis is familiar with the local neighborhoods as well as surrounding areas. As a Real Estate strategist, she specializes in Single Family Residential homes and helping first time home buyers get the most out of their investment. Prior to her work as a realtor, Alexis was a Loss Mitigation Specialist with Select Portfolio Servicing. 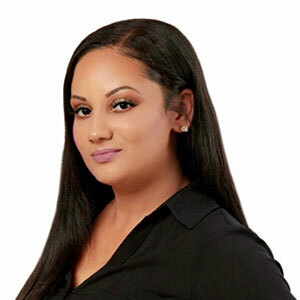 Alexis gained an extensive background in all aspects of the loan process and this gives her a competitive edge to educate customers while helping them to achieve their goal of homeownership. Being a mother of three, she understands the importance of family and finding your forever home. As your realtor, Alexis vows to listen to your wants and needs and commits to deliver top of the line service in a timely manner to create a stress-free home buying and selling experience.